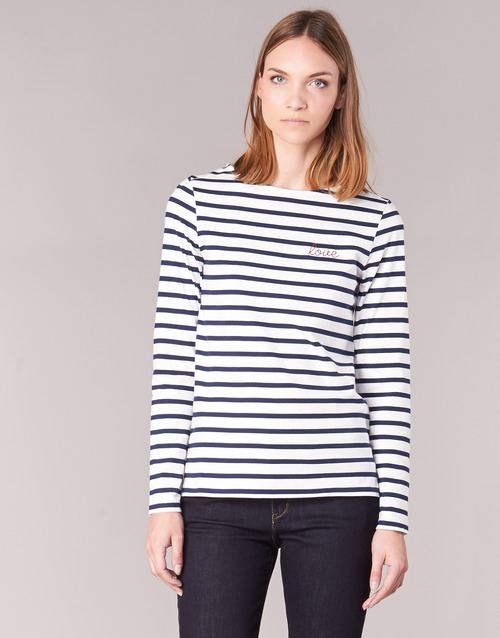 When a brand clashes French charm with British cool, you know I'm all over that. In 2007, a Parisien designer moved to London to try and forge her way in the fashion capital, and the Betty London collection was the outcome. Buzzwords of the collection are feminine, casual, and sophisticated, referenced in easy to wear, European-made pieces in a plethora of well considered, quality materials. The latest collection, available on Spartoo, makes for perfect summer shopping. Muted colours, simple shapes and flattering cuts grace dresses, blouses, and trousers. The styling is typically French, with a definite element of cool and the simplicity in the outfits belies the details in the clothing. However, the pieces are wearable and fun, and will effortlessly fit in to your existing wardrobe. My favourite items are the black bardot dress, which would look as chic dressed up with heels as it does worn with sneakers (and now I really want a pair of Adidas Gazelles!) the classic striped breton, which truly is a wardrobe staple, and the ruffle sleeved blouse, ticking all the summer workwear boxes.